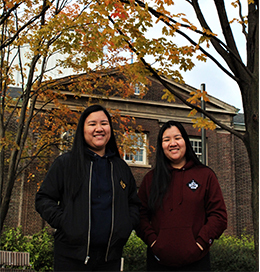 Northern Philosophy was created by twin sisters, Abigail and Danielle Maravilla. Initially a design company working on projects for friends, family, and others local to Toronto, the duo had decided to rebrand themselves with something bold; and so, NP was created. By launching NP, they have fulfilled their goal of capturing Northern pride by building unity amongst Canadians, all while representing a message of self-empowerment and iconology.